While Alexandra Daisy Ginsberg, Sascha Pohflepp, and Andrew Stellitano’s electrosynthetic fruit speculates as to the edible effects of gravitational flux during the journey to Mars, other designers and artists have skipped ahead to investigate Martian terroir itself. IMAGE: Installation view, Martian terroir, Carlos Monleon-Gendall. Earlier this summer, Carlos Monleon-Gendall, exhibiting as part of the always-intriguing Royal College of Art Design Interactions end-of-year show, explored the process of wine-making as if on Mars. 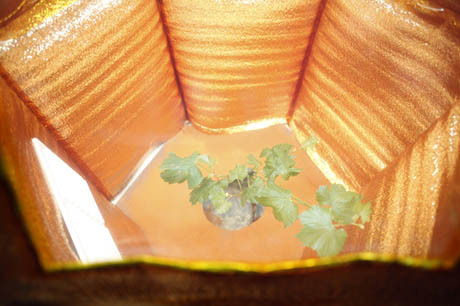 In his specially designed growth chamber, a lonely vine, from a species chosen for its cold tolerance, sends its roots down into a Martian soil analogue (a hand-pulverised mix of volcanic rocks and glasses as well as ferromagnesia clays), while extending its leaves toward a Martian sun. IMAGE: Vine inside Monleon-Gendall’s Mars Acclimatisation Chamber. IMAGE: Pulverising clay to create a Martian soil analogue. 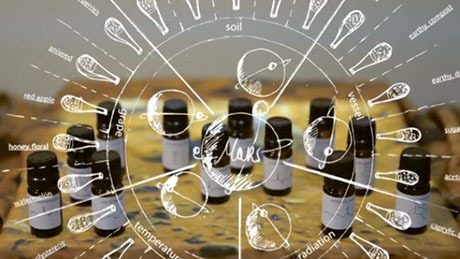 Still from Martian Terroir: Acquiring the Taste for Other Planets, by Carlos Monleon-Gendall. 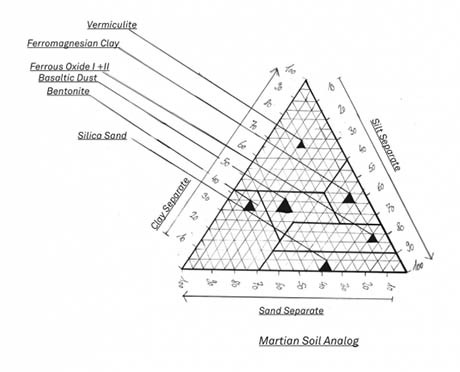 IMAGE: Diagram of Martian soil analogue, Carlos Monleon-Gendall. 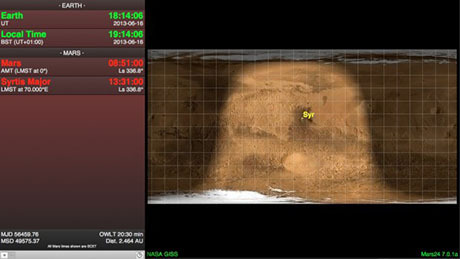 IMAGE: Monleon-Gendall uses a micro-computer hooked up to NASA’s Mars24 app to controls the day and night cycles of the chamber. IMAGE: Martian clay vessels, designed by Carlos Monleon-Gendall. 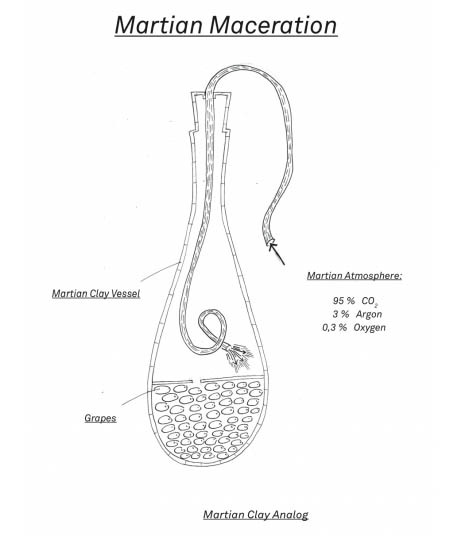 Here on Earth, natural winemakers are experimenting with using terracotta pots, rather than oak barrels or stainless steel vats, in modern winemaking, and finding that the resulting micro-oxygenation “helps to produce well-rounded and fat wines that are all the while tight and mineral on the palate.” On Mars, where the atmosphere consists of carbon dioxide spiked with a little argon, the resulting flavour profile will no doubt be quite different. In anticipation, Monleon-Gendall has also begun to experiment with that essential prop for contemporary aroma and flavour appreciation: the sensory descriptor wheel. IMAGE: Pouring Martian wine. Still from Martian Terroir: Acquiring the Taste for Other Planets, by Carlos Monleon-Gendall. IMAGE: A new metabolic flavour wheel. 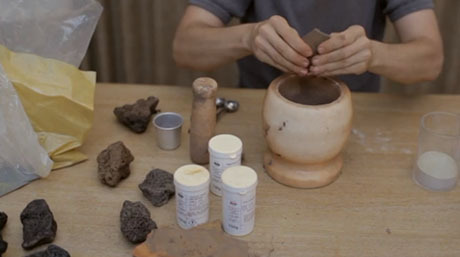 Still from Martian Terroir: Acquiring the Taste for Other Planets, by Carlos Monleon-Gendall. 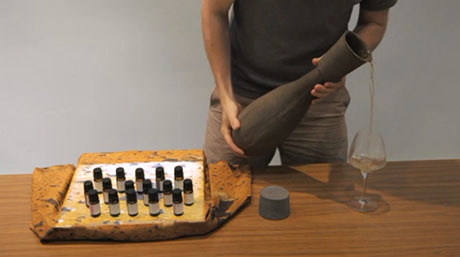 Monleon-Gendall’s prototype wheel aims to tease out the relationship between flavour compounds, environmental conditions, and different microorganisms, employing descriptions such as “acacia blossom‬,” ‪”furniture polish,” ‬ ‪and “wet wool‬,” to characterise the sensory profile of grapes exposed to (impossibly) high radiation levels. 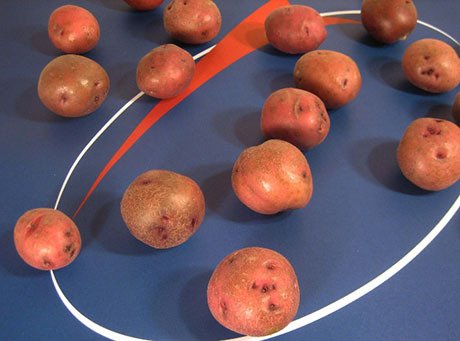 IMAGE: Martian hybrid potatoes. Jonathon Keats via Wired. 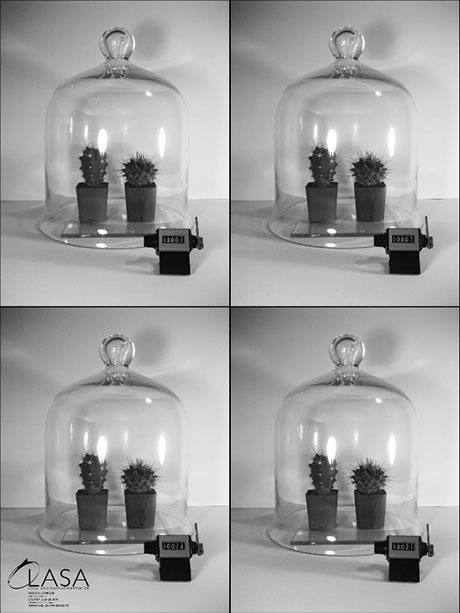 IMAGE: LASA cacti growing in pulverised meteorite. Jonathon Keats via Wired. 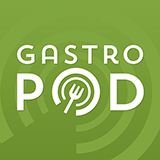 A few years ago, experimental philosopher and artist Jonathon Keats (previously interviewed on Edible Geography discussing his photosynthetic restaurant for plants) undertook a similarly speculative approach to space-exploration-by-means-of-comestibles. His LASA (Local Air & Space Administration) initiative sent potatoes and cacti to Mars by growing them in pulverised basaltic shergottite from meteorite NWA 2975. Keats’s brand of participatory exotourism focused on the potential for gradual Martian acclimatisation through ingestion and incorporation. To help humans catch up to his prickly, potato pioneers, Keats also sold bottles of Martian mineral water. 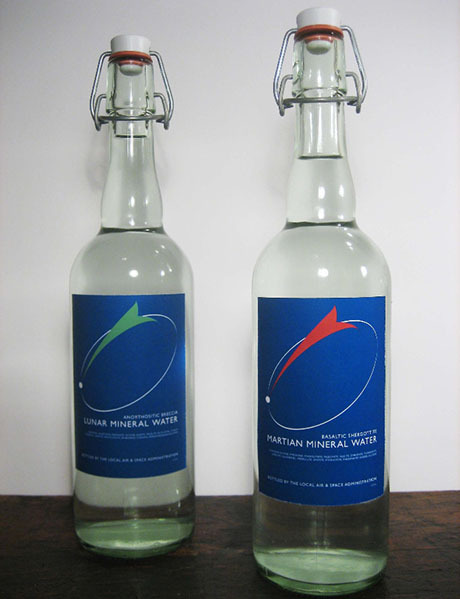 IMAGE: Lunar and Martian mineral water. Jonathon Keats via Wired. Curiously, despite an obvious difference in scale and resources, Monleon-Gendall and Keats’ attempts to design simulant extra-terrestrial ecologies in order to literally cultivate knowledge of an alien planet are not so different from several international space agencies’ own analogue environments for the study of lunar and Martian agriculture. 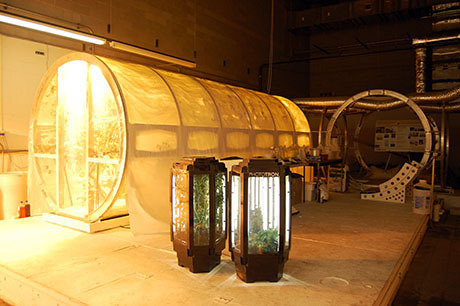 IMAGE: The lunar greenhouse at the University of Arizona’s Controlled Environment Agriculture Center. Photograph: Nicola Twilley. 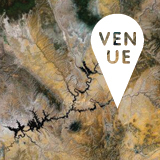 This construction of alien terroir — a combination of simulated geologic and climate conditions and innovative human craft — is a form of remote sensing, a survey device no less useful than a satellite or rover in generating new forms of planetary knowledge, whether they be agricultural, sensory, or embodied. 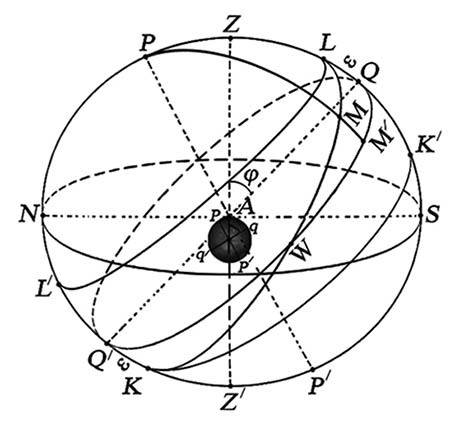 IMAGE: Martian astronomy for a new agricultural almanac, via BLDGBLOG, who can’t find the image citation but thinks this diagram shows the sun’s position as perceived from Mars. Carlos Monleon-Gendall’s work discovered via @johnthackara. Thanks for the post Nicola. I am also currently working on a biodynamic growing calendar for Mars.